The POLYFORM® F1 is a supreme heavy duty fender made in one piece from our unique blend of high class materials. The F-series fenders are equipped with rib-reinforced ropeholds and are rotmolded from tough, flexible vinyl. The fenders are resistant to all weather conditions. 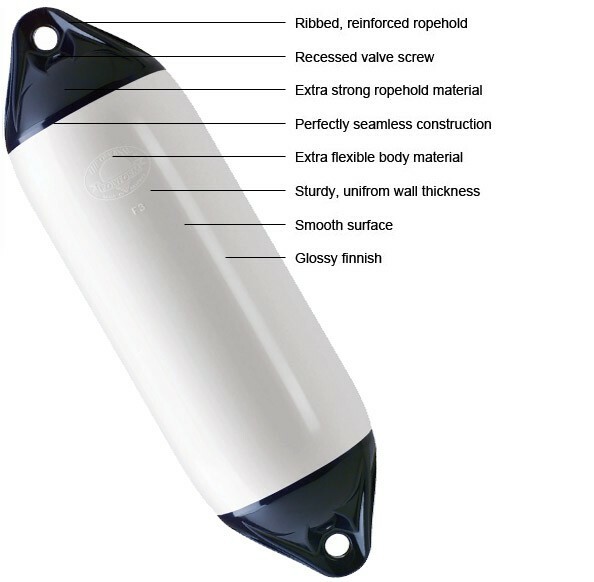 The F-series fenders are used all over the world for fendering of pleasureboats, yachts, workboats, pilotboats and the largest F-series fenders are used by national navies for ships up to 1500 ton d/w.